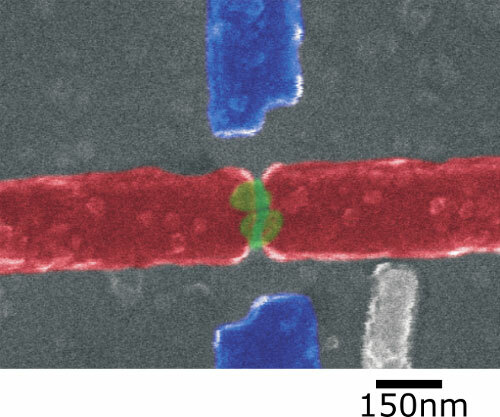 (Nanowerk News) A team from the RIKEN Center for Emergent Matter Science, along with collaborators from several Japanese institutions, have successfully produced pairs of spin-entangled electrons and demonstrated, for the first time, that these electrons remain entangled even when they are separated from one another on a chip ("Cooper pair splitting in parallel quantum dot Josephson junctions"). This research could contribute to the creation of futuristic quantum networks operating using quantum teleportation, which could allow information contained in quantum bits—qubits—to be shared between many elements on chip, a key requirement to scale up the power of a quantum computer. The ability to create non-local entangled electron pairs—known as Einstein-Podolsky-Rosen pairs—on demand has long been a dream. Russell Deacon, who carried out the work, says, "We set out to demonstrate that spin-entangled electrons could be reliably produced. So far, researchers have been successful in creating entangled photons, since photons are extremely stable and do not interact. Electrons, by contrast, are profoundly affected by their environment. We chose to try to show that electrons can be entangled through their spin, a property that is relatively stable." To perform the feat, Deacon and his collaborators began the painstaking work of creating a tiny device, just a few hundred nanometers in size. 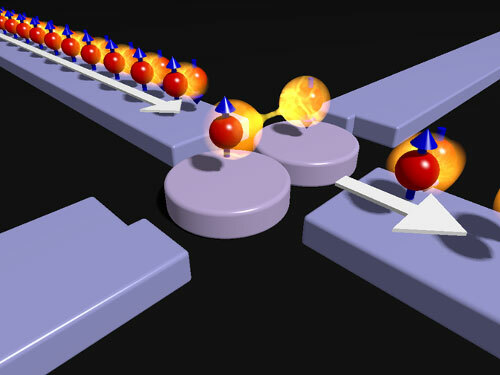 The idea was to take a Cooper pair—a pair of electrons that allows electricity to flow freely in superconductors—and get them, while tunneling—a quantum phenomenon—across a junction between two superconductor leads, to pass through two separate “quantum dots"—small crystals that have quantum properties. By measuring the superconducting current, the team was able to show clearly that the spin of the electrons remained entangled as they passed through the separate quantum dots.